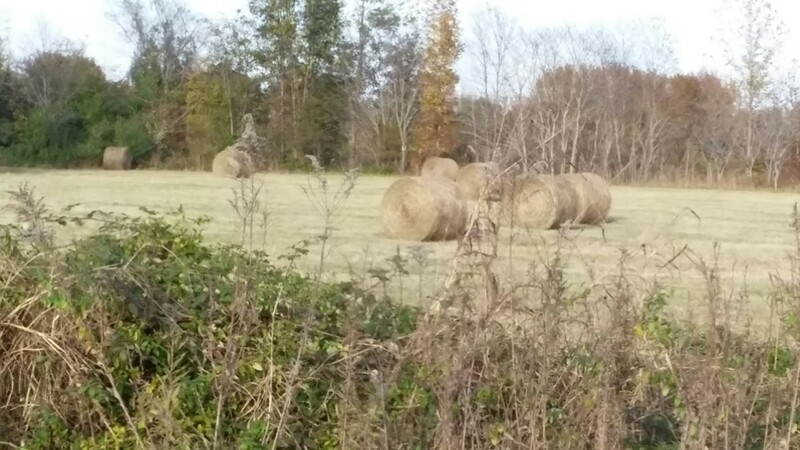 When I went back home to Tennessee last weekend, the fields were either full of cotton ready to be picked, or full of cotton already bailed, or full of these hay bales. There were combines in the field, and trucks on the road transporting one or the other. The lonely bales look like strange alien anomalies or tombstones representing the end of the season.